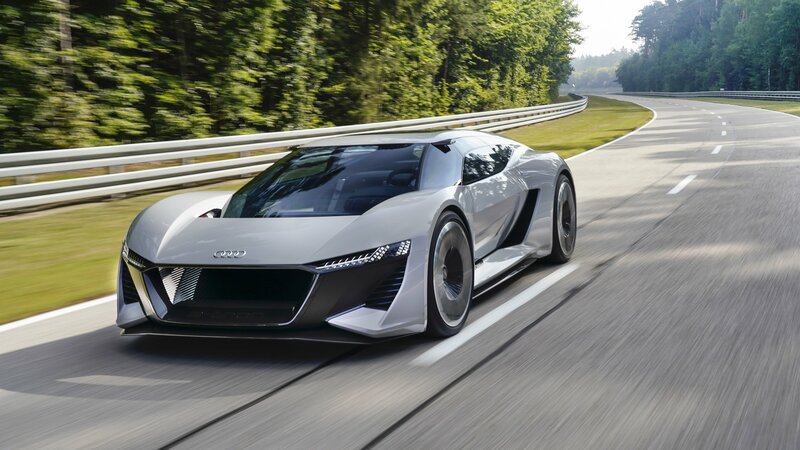 Ten years ago, Audi shocked the auto world when it uncorked an all-wheel drive, ten-cylinder supercar that ushered in a new era of performance for the German automaker. This year, the Audi R8 turns a decade old, and Audi’s throwing a party for its beloved performance machine with a special edition model called the R8 V10 Decennium. Taken from the Latin word that literally means “decade,” the R8 V10 Decennium is a fitting ode to a supercar that played a huge role in redefining the supercar segment. 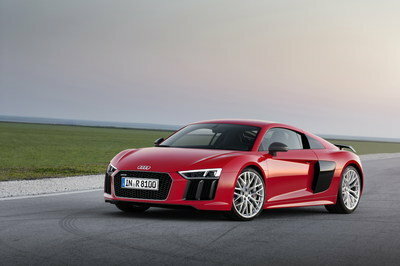 Only 222 models of the anniversary R8 will be available. Each model is priced at €220,000, which converts to about $250,000 based on current exchange rates. The Audi R8 Decennium becomes available starting in the spring of 2019. 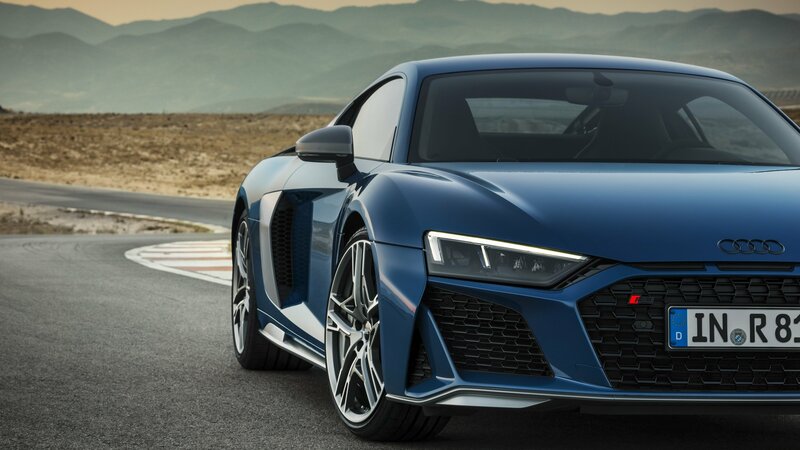 The Audi R8, aka the poor man’s Lamborghini, is only a few years old, but Audi decided to give it a thorough update for the 2019 model year. Unfortunately, what we thought was going to be a GT model was actually nothing more than the facelifted model that you see here. The good news, however, is that the standard model is now more aggressive than ever. Adding icing to that so delicious cake is that fact that it comes with some extra oomph to justify that extra aggression. How much? Only 30 horsepower, but that’s enough. Now, every trim can blast past the 200-mph threshold, and it can hit 62 mph in as fast as 3.1 seconds. Today, however, that performance doesn’t matter, because we’re here to honor the R8’s beautiful appearance. To do that, we’ve decided to pick out our favorite wallpaper and share it with you. If you don’t like it, there are a few more in the gallery below. Remember, if you want to know more, you can check out our in-depth review of the 2019 Audi R8 as well! Introduced in 2015, the second-generation Audi R8 was facelifted for the 2019 model year. The mid-cycle upgrade arrived rather soon, suggesting that the supercar might be redesigned in three years or so. The facelift brought a sportier exterior, a mildly altered interior, and important changes under the hood. 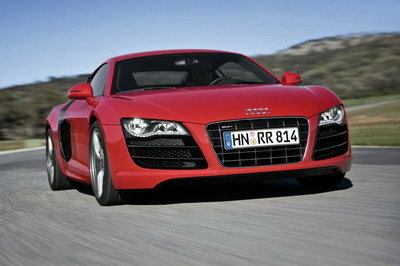 Likewise, the R8 V10 Plus model was renamed the V10 Performance. Sharing 50 percent of components with the R8 LMS GT3 race car shown at the 2018 Paris Motor Show, the revised R8 looks more aggressive than ever. It’s also significantly more powerful than before, with up to 30 horsepower added to the 5.2-liter V-10 engine. It’s also the first R8 to surpass 200 mph in every trim, including Spyder models. Although it was originally believed that Audi might add a new GT model to the lineup, the sportier car spotted testing in Europe turned out to be just the regular facelift. Let’s find out more about all of that in the review below. 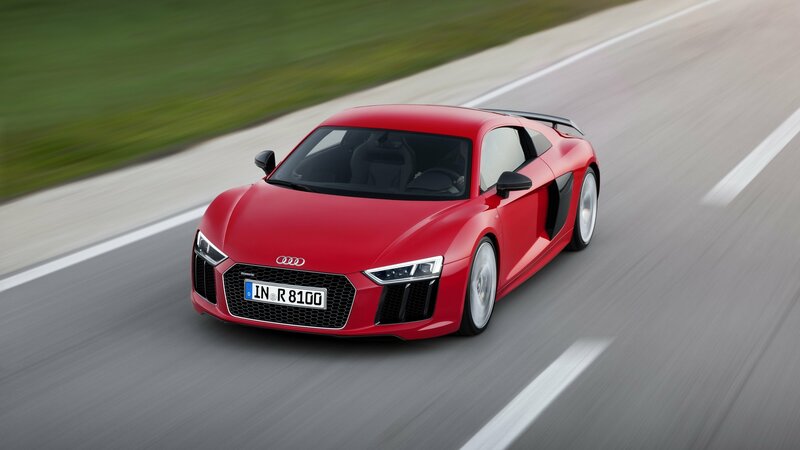 Continue reading to learn more about the Audi R8. After the PB18 E-Tron, no one really expected Audi to reveal a new supersport car. Yet, it did – the Audi RSQ e-tron. 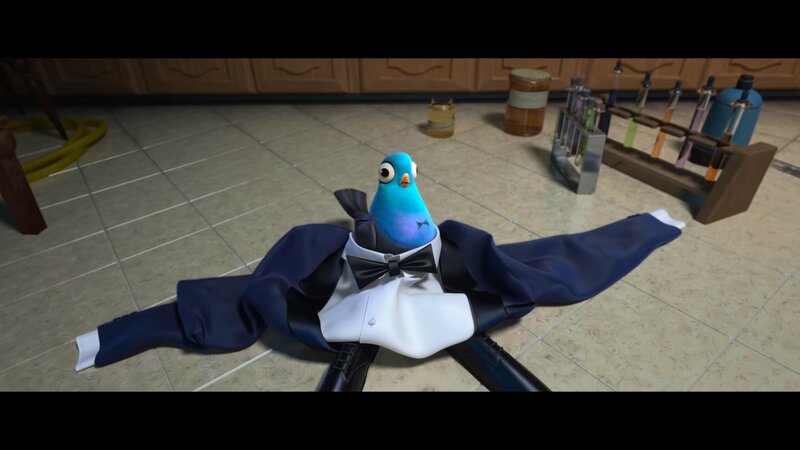 It’s animated, though. Like, cartoon type of thing “animated.” Designed in conjunction with Fox, the new Audi RSQ e-tron is bound to appear in the next animated movie Spies in Disguise, starring none other than Will Smith. As many of you may recall, this is not the first time for Audi and Will Smith to appear together on the big screen. The actor had that astonishing futuristic autonomous Audi for the movie I, Robot. Obviously, right now, the driving part isn’t really possible. It’s been only three years since Audi introduced the second-generation R8, and the supercar has already been upgraded to its mid-cycle specs. It’s A bit more aggressive on the outside and now cranks out more power in both standard and beefed-up versions. 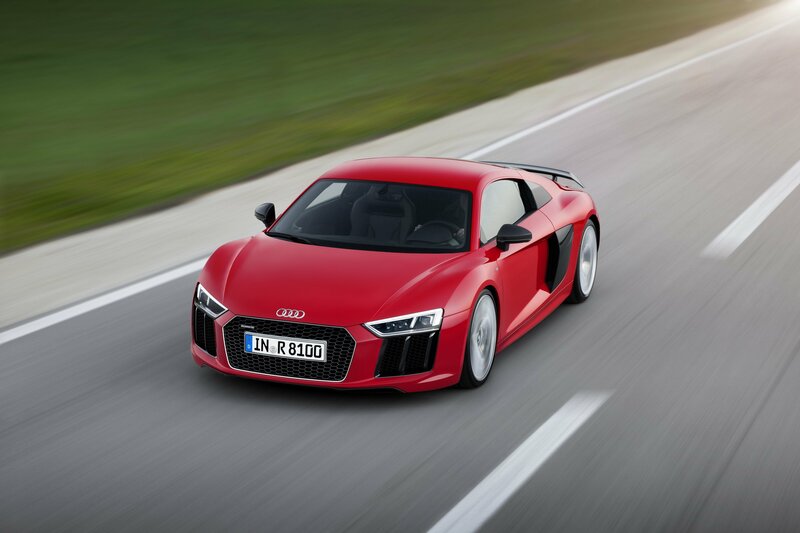 Previously known as the V10 Plus, the range-topping model was renamed the V10 Performance. The German supercar will go on sale in Europe in early 2019. It’s time for another Audi R8 Special Edition. The new SE, called the R8 V10 Plus Competition Package, receives a bundle of parts from the Audi Sports bin, included in part to help the supercar shed weight and improve its aerodynamic performance. Production is limited to just ten units, all of which are earmarked specifically for the U.S. market. Each unit of the R8 V10 Plus Competition Package costs $237,350. The special edition R8 arrives in dealerships in November 2018. Audi is one of the most successful manufacturers in the highly-popular GT3 arena which attracted most of the world’s top manufacturers since the class debuted in 2006. The German manufacturer rolled out an update for its second-generation R8 LMS which promises to build on an already strong base. Is Audi Bringing a Race-Spec Version of The R8 To Paris? Audi Sport has released a mysterious teaser of a car that looks like the R8 supercar. 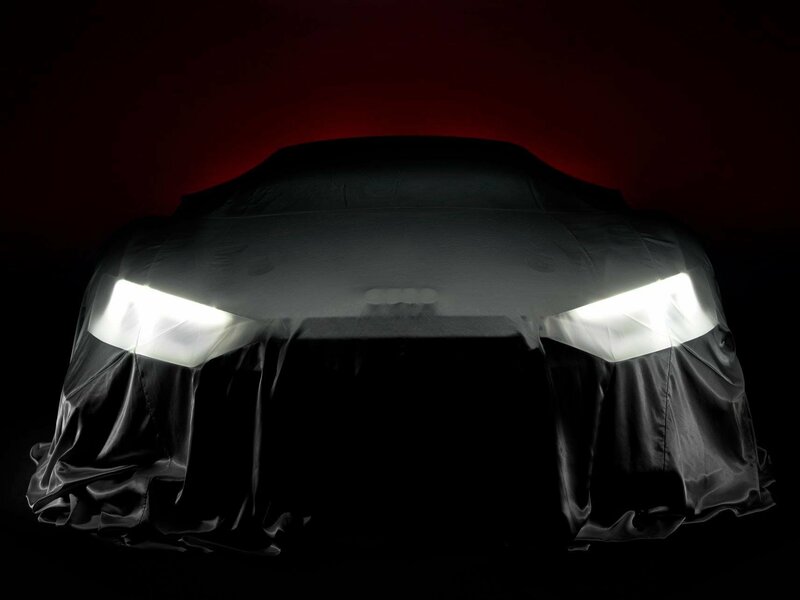 Audi didn’t confirm that it’s the facelifted version of the supercar so if it’s not that, this model sitting underneath the sheets could be a race car based on the R8. 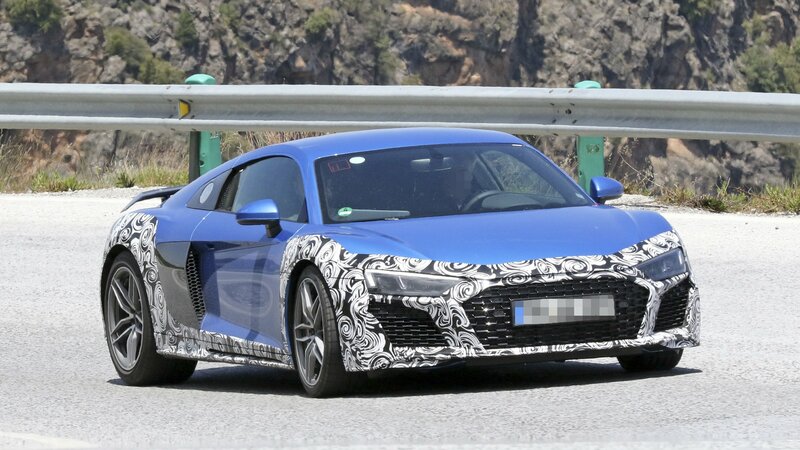 The facelifted R8 is expected to arrive later this year so it’s possible that this model could serve as a preview of what we can look forward to when the new R8 debuts. There are no specific details about the car other than Audi’s plan to show the model at the 2018 Paris Motor Show. We’ll know more then. The arrival of the Audi PB18 E-Tron has opened the floodgates on surrounding the R8’s future. The latest whispers indicate that while the R8 will not return for a third generation, the name will soldier on as part of an all-electric supercar that will have as much as 1,000 horsepower at its disposal. There’s no timetable for the electric supercar’s release as the current R8 is just about to start its mid-cycle refresh. If the R8 E-Tron happens “again,” it’s unlikely to arrive at least until the next decade, possibly around 2022. The second-generation Audi R8 is about to receive its mid-cycle facelift. We’ve already seen prototypes on public roads, and it seems that the Germans have prepared big changes for the facelift. 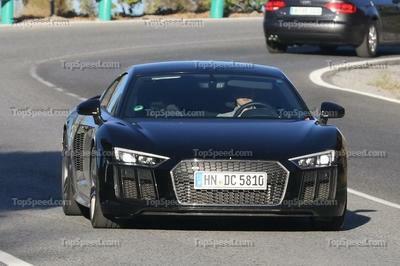 It also seems that Audi is working on a higher performance version of the R8, possibly a successor to the GT model. Although it has yet to confirm such a model, a new R8 GT makes sense given the fact that the second-gen supercar has yet to spawn any special editions yet. The original GT was discontinued back in 2013, while the LMX was produced in 2014 only. It’s been four years since Audi offered anything above the R8 Plus, so it’s about time the German brand gave the supercar a performance bump. A beefed-up R8 could arrive in 2019, but until we find out more about that, let’s take a closer look at what upgrades it may get. 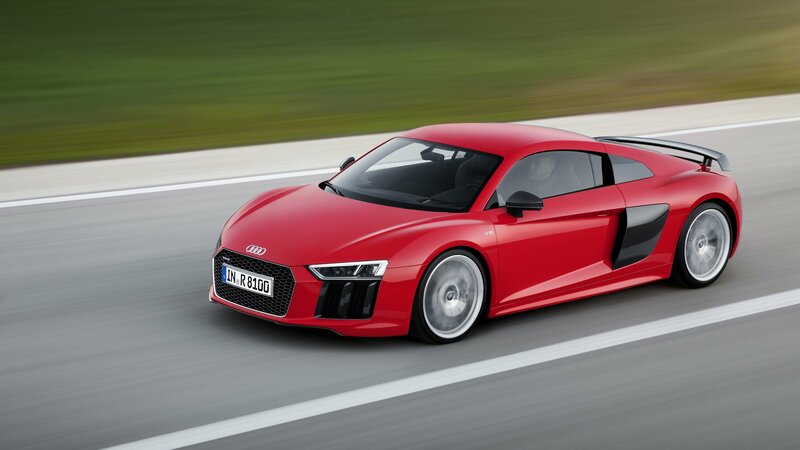 Continue reading to learn more about the Audi R8 GT. The second-generation Audi R8 was launched in 2015 and, despite rumors that it may be discontinued, the supercar will live on for at least a few more years. The facelifted version of the R8 coupe was spotted on public roads back in March, and now the Spyder model surfaced with similar updates. While notable changes make sense for a mid-cycle refresh, word has it that the Spyder in out latest shots could be more than just a facelift. Audi may be working on a beefed-up version of the supercar that could carry an “RS” or “GT” badge. With the nameplate likely to go into the history books in a few years, the Germans might be looking to give it a proper send-off with a more aerodynamic and powerful version. 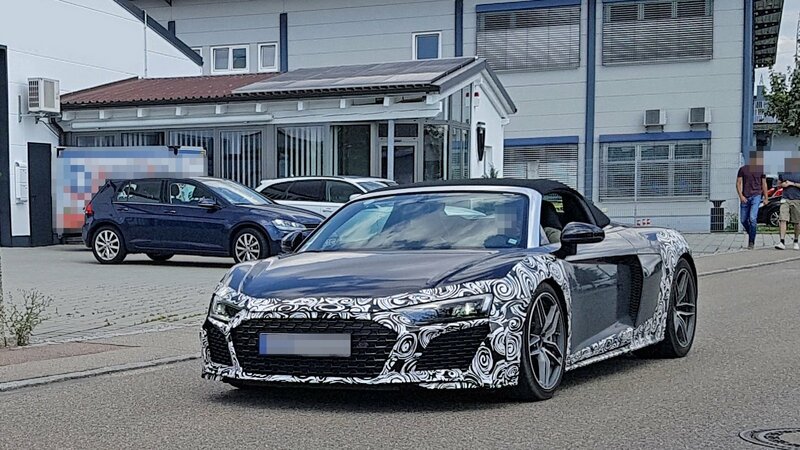 Unfortunately, Audi is still mum on the details, so we won’t know for sure until the company spills the beans or the camo comes off. Meanwhile, let’s have a closer look at what the updated R8 Spyder might bring to the table. 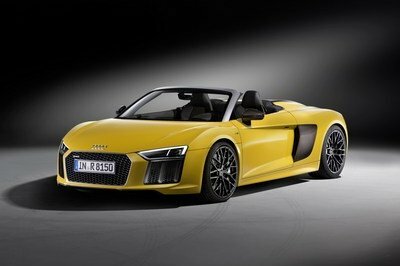 Continue reading to learn more about the upcoming Audi R8 Spyder. 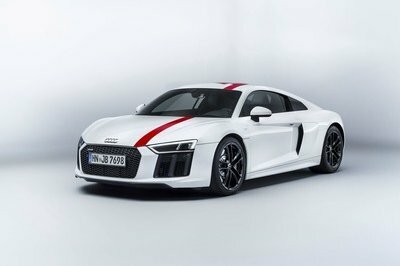 The Audi R8 has had no shortage of special editions, and like clockwork, the German automaker is presenting a new limited edition model called the Audi Sport Performance Parts R8 Edition. Limited to just five models, the Sport Performance Parts R8 Edition packs plenty of upgrades spread throughout the whole car. There are new aero bits, improved suspension, and an exclusive body kit that no other R8 model, past or present, has worn. There will only 44 units of the Sport Performance Parts R8 Edition produced, including five models allocated for the U.K. market. As Jay Leno puts it, the Audi R8 V10 RWS isn’t a flashy car, really, and it’s a huge improvement over the Audi sports cars of the past. Unlike the other versions of the Audi R8, it was made specifically for rear wheel drive. Less than 400 were destined for the United States with the remaining examples of the limited edition car being spread across the rest of the world’s markets. What’s even cooler, however, is the engine placed behind the rear seats is the same engine that’s used in Audi’s race car. Of course, it’s tuned down a bit to 540 horsepower and 399 pound-feet of torque, but that’s enough for a 3.7-second sprint to 62 mph. It tops out at just 199 mph. Of course, there’s so much more to the R8 V10 RWS, so check out this episode of Jay Leno’s Garage to learn all about it. Will Audi Replace The R8 With An EV Supercar Powered By A Solid-State Battery? In case you hadn’t heard, the so-called “EV Revolution” is currently underway, bringing the heat to internal combustion with crazy torque and power levels. However, there are still a few ways in which traditional powerplants best their battery-driven rivals, but that might all change if Audi follows through on its research into solid-state batteries. Pew! Pew! Pew! That’s the sound of Audi taking aim at rumors that it’s developing an entry-level, V-6-powered R8. The German automaker quickly responded to rumors of such a car, dismissing it as nothing more than a rumor. Word of the possibility of an R8 V-6 spread quickly on rumors that Audi was considering adding new options for its supercar in time for its mid-life cycle. The company immediately responded by saying it wasn’t true, leaving plenty to wonder if the recently launched R8 RWS is the only new R8 that’s on the table. Well, that didn’t take long, did it? Only a few days after rumors of a V-6-powered R8 were reignited, the German automaker quickly responded by bringing out the water hose. 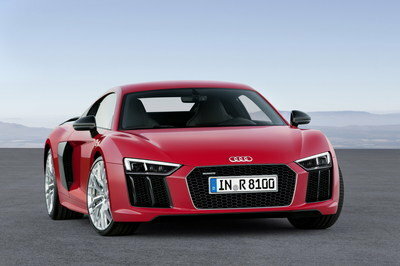 According to an Audi spokesperson who spoke to Road & Track, a V-6-powered R8 isn’t happening. 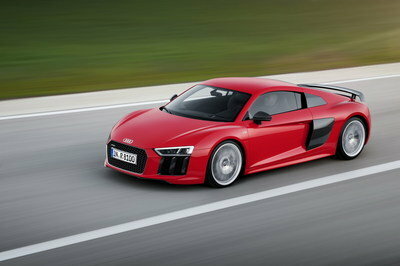 In his own words, the spokesperson said: “there is no V-6 planned for the R8.” So, there you have it. The entry-level, Audi R8 V6 isn’t arriving anytime soon, if it even does in the first place. 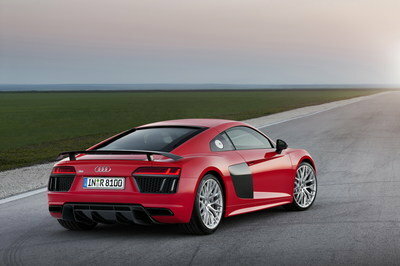 Now that it’s clear, we can safely assume that the entry-level R8 will remain the 540-horsepower, V-10 model. 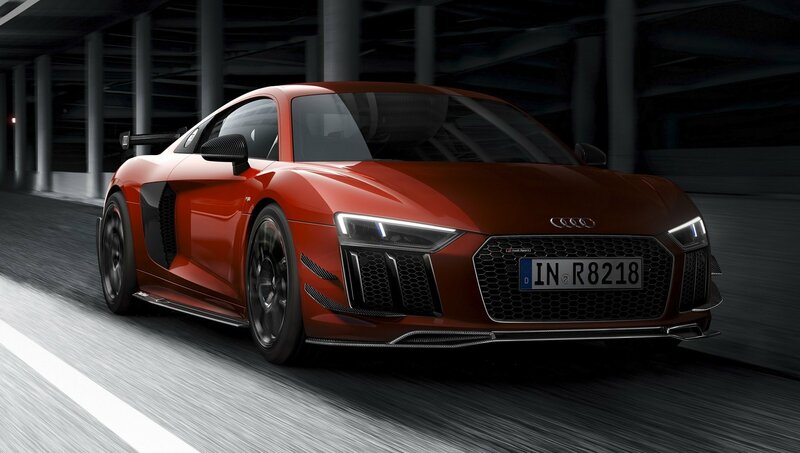 The R8 V10 RWS will slot in as the new trim option, offering prospective customers the chance to enjoy the thrill of the supercar with a rear-wheel drive setup as opposed to the company’s Quattro all-wheel-drive system. The 610-horsepower R8 V10 Plus will also retain its place as the range-topping model. It’s important to note here that just because an Audi spokesperson shot down the rumors of a V-6 R8, it doesn’t mean Audi never considered building one. 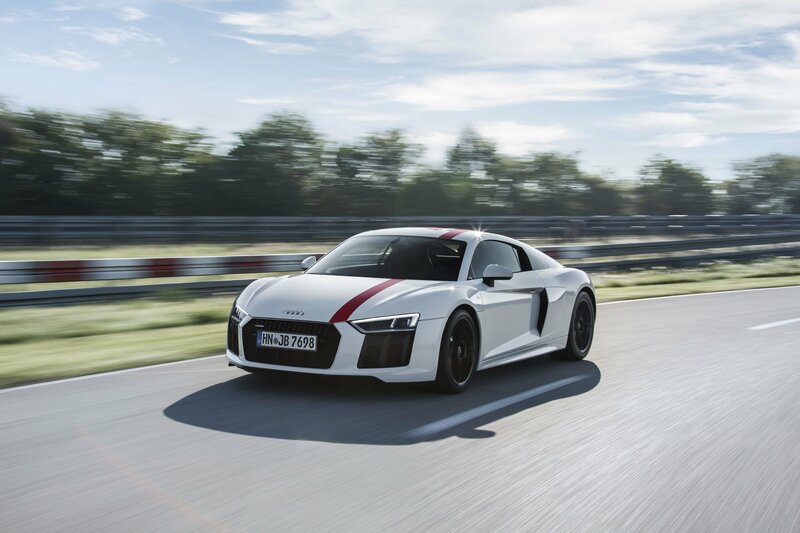 After all, the talk of a V-6-powered R8 stretches back a few years when Roland Schala, the car’s technical lead, told Top Gear that the V-6 engine is the perfect engine for a car like the R8. 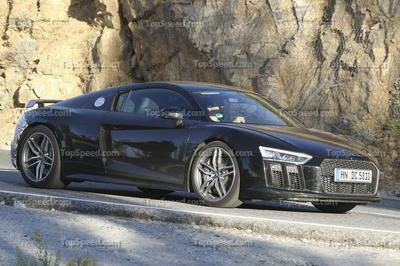 Then, in 2016, a reported future product lineup showed a V-6 R8 that was being targeted for a 2018 launch. But as they say, the industry evolves on a daily business. 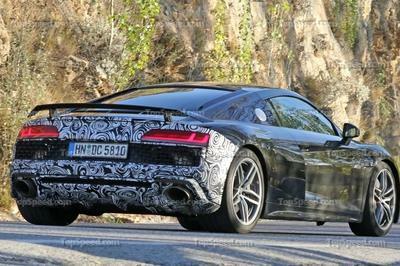 Yesterday’s news is today’s gossip, and it seems that we’re dealing with that with all these rumors of a V-6 R8. So, if you were looking to score an R8 before the current-generation model runs its course, the most affordable version remains the $165,450 R8 V10. Don’t worry; there’s still time to save up for the car because, according to Audi, the current R8 still has a long life ahead of it. Just don’t wait too long to get one because it’s unlikely that a third-generation model is happening. At least that comes straight from Audi itself. Read our full review on the 2017 Audi R8. 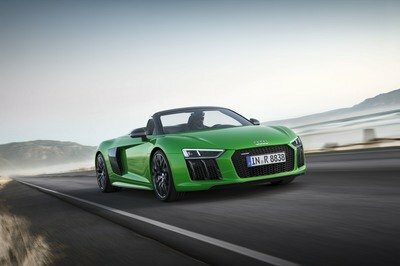 Read our full review on the 2017 Audi R8 Spyder. 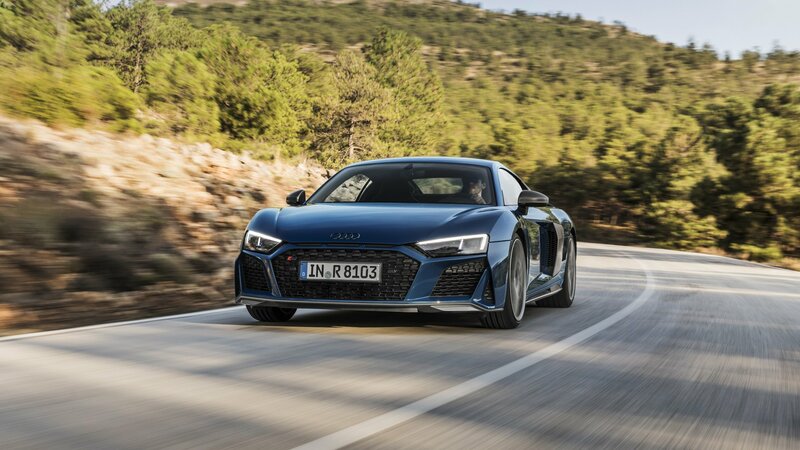 Read our full review on the 2018 Audi R8 RWS. While the future of the next-generation Audi R8 is in question, the current version of the supercar is getting a major update soon, and it’s packing a number of major changes. One of the biggest changes is the addition of a new entry-level version, one that will be powered by a 2.9-liter twin-turbocharged V-6 engine. Incidentally, this is the same powertrain that’s currently being used by the Audi RS4, RS5, and the Porsche Panamera. If this does end up being the R8’s last hurrah, Audi is doing a decent job in making the supercar more affordable to the masses. Putting a 2.9-liter twin-turbo V-6 in the R8 isn’t just about offering a new version of the supercar to consumers, it’s also giving more opportunities for those who can’t afford the V-10 models to get their hands on an R8. A new V-6 unit is also an interesting turn of events for a car whose current generation has exclusively used V-10 engines. 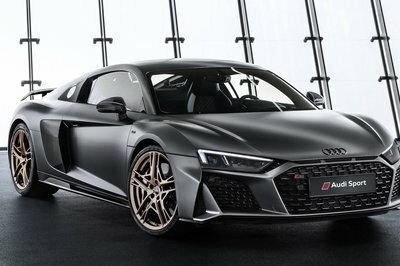 Remember, Audi offered the first-generation R8 with a V-8 engine, but that option was removed for the second-gen model because of what Audi execs described as a combination of high costs of updating it to meet future emissions standards and concerns in markets where road tax is tied into a car’s engine capacity. But, now that the future of the R8 is in doubt, Audi appears to be giving the facelifted model one last hurrah with a V-6 version, stretching it deeper into the sports car segment where more potential customers await. If the V-6 engine, which Audi co-developed with Porsche, does become a reality for the facelifted R8, expect it to carry more power compared to the 434-horsepower and 405-output of the Porsche Panamera 4S. The R8’s status as a sports car means that with a few subtle tweaks, including the possibility of improved boost, it could generate output in the vicinity of 500 horsepower and 500 pound-feet of torque, enough to solidify its presence in a sports car segment where rivals like the Jaguar F-Type and Mercedes-AMG GT await. 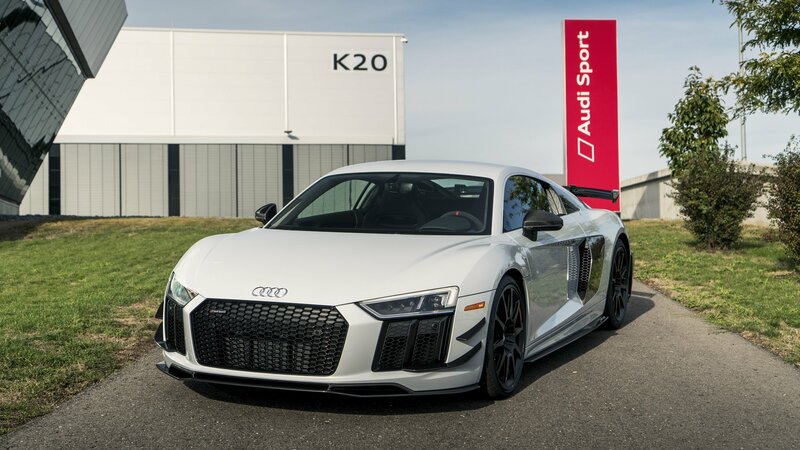 Chalk that up as a possibility since Audi execs have told Autocar that the V-6 engine will come with more than one power output, opening the door for a lot of possibilities as it relates to a V-6-powered Audi R8. It’s still unclear why Audi is reportedly heading down this path, but it could be tied into the future of the R8 now that there are questions on whether a next-gen model is in the works. Remember, Audi also just launched a rear-wheel drive version of the V10 model, called the R8 RWS, which could be another sign that the German automaker is giving the people more variety of the German sports car to expand its reach before eventually heading into the sunset. The launch of a V-6 version also plays into that thinking. Regardless of what happens, it’s becoming clear that, if the R8’s days are actually numbered, Audi is doing its part to make sure that it goes out with a bang. Think VW Killing the Beetle Was Bad? Wait Until You Realize the Audi R8 Is Discontinued too! The Audi R8 doesn’t appear to have a bright future beyond its current version. While nothing has been confirmed yet, Audi’s R&D boss, Peter Mertens, admitted that the German automaker has made no plans for a direct replacement for the range-topping supercar. The lack of commitment from Audi, coupled with investments the company is making in diversifying its own portfolio, points to an uncertain future for the ground-breaking R8 that put the company on the supercar map. This is one of those times when you’re greeted with a story that is surprising on the surface, but not really shocking when you start to think about it. For what it’s worth, the Audi R8 lived up to all of Audi’s expectations. It brought the German automaker into the supercar market, and it’s been thriving there since. It’s hard to imagine an Audi being able to match wits and capabilities with the Ferraris and Lamborghinis of the world, and yet, the R8 has done just that. But there is a time for that to end. Like every automaker in the business, Audi’s future is now being defined by expanding into hybrids and electric vehicles. As such, funds that normally go to a halo car like the R8 are now being diverted into more important segments. That’s probably one of the reasons why there have been no internal discussions regarding a replacement for the current-generation R8. Unfortunately for fans of the R8, the supercar might be left out because of this new focus and strategy. Granted, plans and priorities could still change. The R8, as it is, has a few more years on its life so the narrative about its future could change in that time. But, from the looks of things, the R8’s status isn’t as much of a sure thing as it once was. 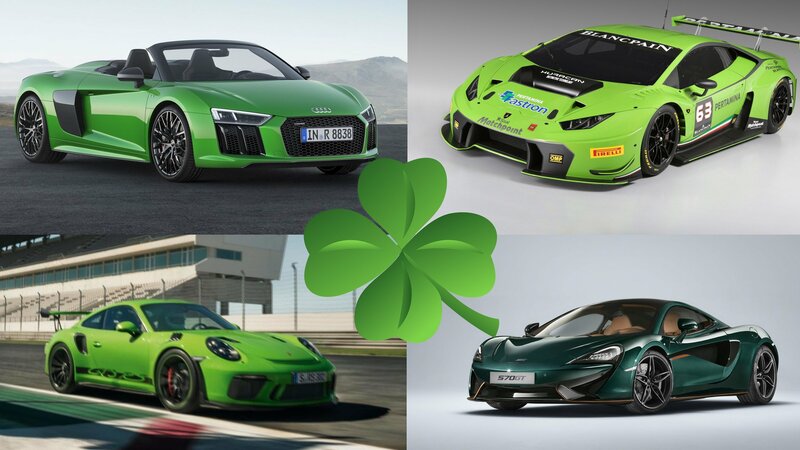 Happy St. Patrick’s Day, TopSpeeders! We hope all you out there are enjoying the holiday, but in the off-chance you forgot to wear green, don’t worry – we’ve got you covered. Looks like Iron Man ditched the red and gold in favor of something a little more viridescent! Making the go in this special edition drop top Four Ring sports car is a Lambo-sourced V-10 power plant pumping out 610 horsepower and 413 pound-feet of torque, all of which hits the ground through a standard AWD system. A sprint to 60 mph takes just 3.3 seconds, while top speed is pegged at 204 mph. Read our full review on the 2018 Audi R8 Spyder V10 Plus. There’s just something so right about a lime green Lambo, don’t ya think? The wild aero, the shark nose, the speed slab stance – it all begs for something as head-turning as this hue we see here. The car in question is a race-ready iteration of the Huracan, sporting upgraded body panels that make more downforce and keep it all running nice and cool. It’s all-business, and bad as hell to boot. 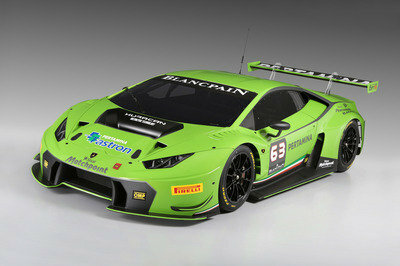 Read our full review on the 2015 Lamborghini Huracan GT3. The here color might be a bit toned down compared to the above two sports cars, but the performance at play with this custom McLaren is nothing less than impressive. Mounted in the middle is a 3.8-liter V-8, which gets two turbos to help it produce upwards of 562 horsepower and 443 pound-feet of torque. Meanwhile, the exterior color is a nod to the McLaren F1 XP GT Longtail from the late ‘90s. Guess it’s not so toned down after all. 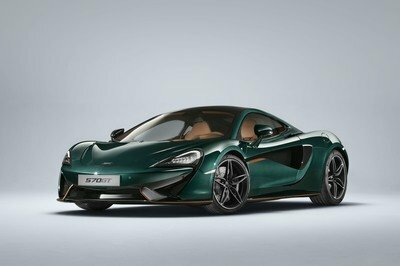 Read our full review on the 2018 McLaren 570GT In XP Green By MSO. 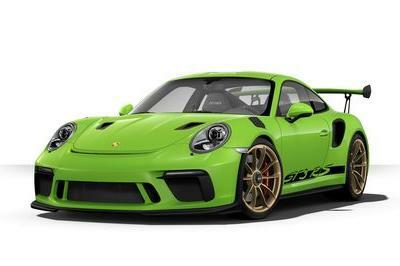 Just released last month, the latest 911 GT3 RS is a beast of a machine. Aimed squarely at the track crowd, this Stuttgart superstar gets all the right stuff to kill the local lap record. Carbon bits and a stripped-down demeanor shave the weight, while as much as 520 horsepower and 346 pound-feet of torque slingshot it to 60 mph in just 3 seconds flat. Read our full review on the 2018 Porsche 911 GT3 RS. Read our full review of the 2018 Audi R8 RWS or check out the gallery below for more awesome wallpapers depicting this beauty!